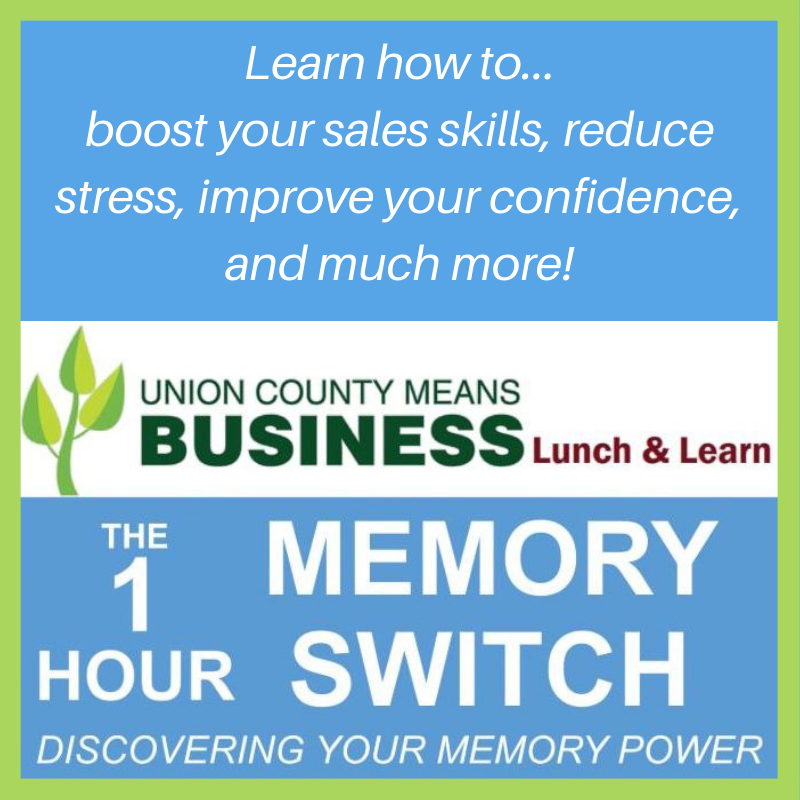 Union County, NJ – Honing business skills, improving confidence and reducing stress are all on tap at Union County’s second annual Lunch & Learn event for local business owners and managers, featuring the popular Memory Switch workshop created by Matthew Goerke. The Memory Switch program enhances cognitive skills that are fundamental to a successful business, including the ability to recall names, faces, and key information. The program also aims to boost confidence and improve sales skills as well as managerial and networking skills, while helping to reduce stress. The Lunch & Learn Memory Switch workshop take place at 11:30 a.m. on Wednesday, October 17 at Hamilton Stage, 360 Hamilton Street in Rahway. Pre-registration is required. The registration fee of $10.00 includes admission to the workshop and a free boxed lunch. To register online, visit ucnj.org/union-county-means-business/#memoryreg. Lunch & Learn is sponsored through the Freeholder Board’s Union County Means Business initiative in support of local businesses.